Al Ain: His Highness Shaikh Mohammad Bin Zayed Al Nahyan, Crown Prince of Abu Dhabi and Deputy Supreme Commander of the UAE Armed Forces, on Saturday paid a visit to Um Gafa area in Al Ain. 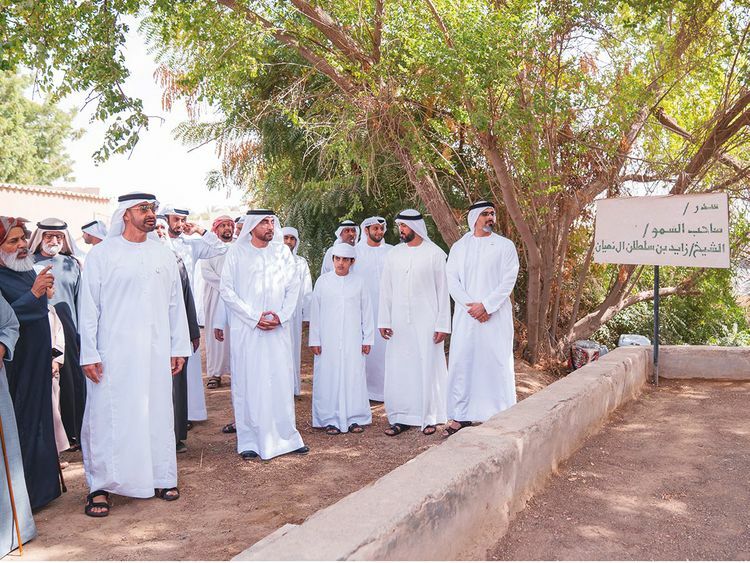 During the tour, Shaikh Mohammad also visited “Oud Al Raha”, an Acacia tree under which the late Shaikh Zayed Bin Sultan Al Nahyan, rested and was welcomed by the Emirati people in 1978 during one of his inspection tours, which marked a turning point in the history of the region. Shaikh Mohammad met with a number of Emiratis in the area and spoke with them about the history and memories of Um Gafa and how the area transformed from a desert into a vivid place thriving with life, houses, schools and farms. Shaikh Mohammad expressed his happiness at meeting the local inhabitants of the area. He also commended the residents’ pursuance to highlight its historical and natural landmarks which document an important stage in the journey of the homeland. While in Al Ain, Shaikh Mohammad visited Mattar Khalfan Al Niyadi at his residence in Al Ain and exchanged cordial talks on the rooted and inherited social values of the region and recalled the role played by the late Shaikh Zayed and the founding fathers of the UAE. 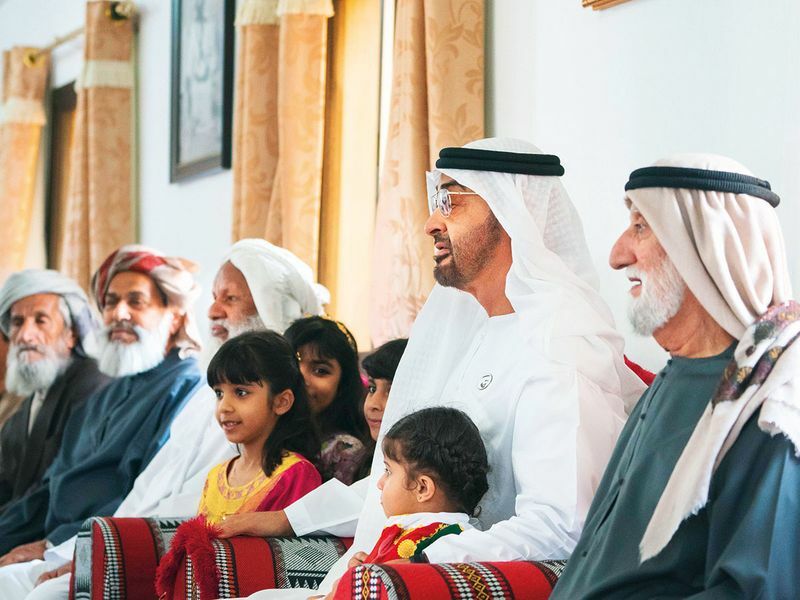 Shaikh Mohammad also attended a luncheon hosted by Juma Saeed Hareb Al Amimi at his home in Al Qattara area, Al Ain.